Adsense for search has been one of the favourites by the bloggers to put in ads on their search pages. But when compared to Google custom search it had many shortcomings , the reason for which it was less preferred by site owners as compared to Google Custom search, which in fact is your very own search engine in many regards. 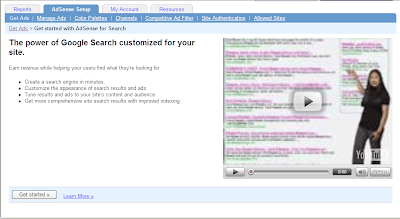 The First reason was that in Adsense for search you could only search a couple of sites that is your own and the web but in Custom Search you can specify which all sites to search . Secondly In adsense for search you used to have the check boxes which are of no use in Google Custom search.